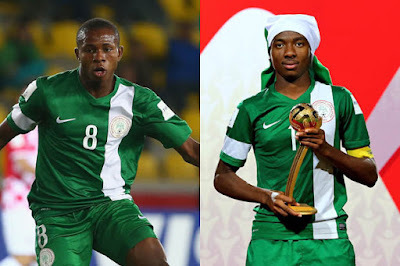 Arsenal FC of England has confirmed its set to push through a £3m deal for Nigerian wonder kids Kelechi Nwakali and Samuel Chukwueze. Mirror Sport revealed earlier this month that Arsenal had been eaten off competition from Manchester City and Bayern Munich for the pair from the Diamond Football Academy in Umuahia, Nigeria. Arsenal scouted them during last year’s Under-17s World Cup in Chile when Nwakali, 17, was the star of the tournament as he was captain and voted Player of the Tournament. Chukwueze, 16, scored three goals and three assists. Wish them all the best!